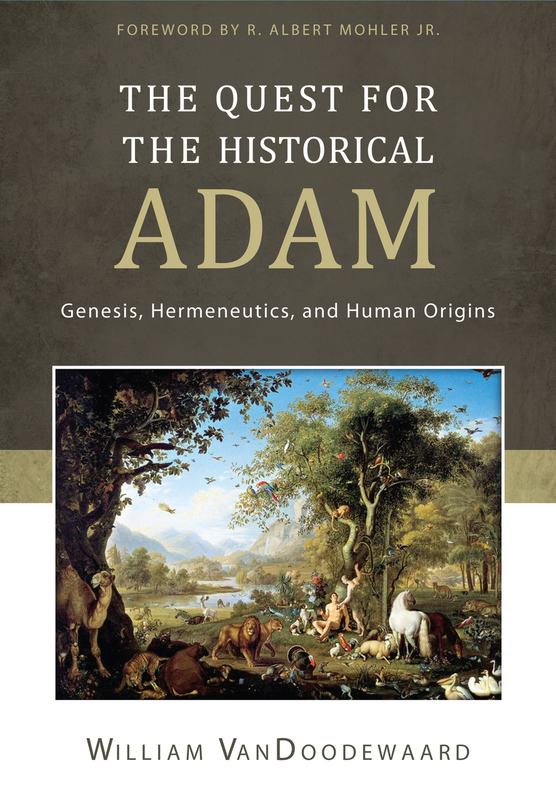 In my previous post, I examined Dr. Deborah Haarsma’s assumption that the original audience for the Genesis account of creation was the “ancient Hebrews.” In this post, I will turn to the claims that Dr. Haarsma makes about the ancient Hebrew understanding of the created order – namely, that they believed there was a solid sky dome above the earth. As a reminder, here is the video to which I am responding. If you haven’t already watched it, please take a moment to do so. So did the ancient Hebrews believe that there was a solid dome above the earth? And where do we go to find out what they believed? The only source for ancient Hebrew belief is the Bible, so that’s where we’ll turn. “And God said, ‘Let there be an expanse in the midst of the waters, and let it separate the waters from the waters.’ And God made the expanse and separated the waters that were under the expanse from the waters that were above the expanse. And it was so. And God called the expanse Heaven. And there was evening and there was morning, the second day” (ESV). The word raqia is translated in the ESV as “expanse,” which makes sense. In the NIV 2011, it is translated as “vault,” which makes somewhat less sense. The King James Version, however, translates this word as “firmament,” which is completely wrong. And when we look at the KJV translation of raqia, things get really interesting. The word “firmament” comes from the Latin word firmamentum, which means “a support, a strengthening. That Latin word itself derives from the word firmus, which means “strong, steadfast, or enduring.” The King James translators chose this word to translate raqia because it was used in the Vulgate, the Latin translation of Scripture. We’ve made the journey from Hebrew to Greek to Latin to English, and along the way, a serious error in translation occurred. You see, the word raqia comes from the Hebrew verb raqa. Raqa means “to spread out, to hammer out, or to overlay.” In Syriac, however, raqa means “to make firm or solid.” This is one of the sources of the mistaken (but oft-repeated) view that the ancient Hebrews believed that there was a solid sky dome above the earth. Uh… Ahem. Okay. So… now what? “Hard as a cast metal mirror!” Aha! The solid sky dome makes its appearance at last!! My argument has been defeated! The picture being painted in the book of Job is that the sky is solid but thin, like a piece of metal being hammered out (Ex. 39:3; Isaiah 40:19). God stretches out the heavens like a tent (Ps. 104:2). Metaphorically speaking, the heavens are being viewed as hammered out at creation (I.e, a spreading out of the sky or an expanse – Gen. 1:7,8) and/or clouds daily changing their shapes or reforming (Job 36:28,29; cf. Gen. 9:13-16; Psalm 18:9-11). ‘Solid’ in the book of Job does not mean impenetrable. Above the firmament are storehouses for rain (Job 36:27-28) and snow and hail (Job 38:22), and there is a place above it for the sun, moon, and the stars (Job 9:7; 22:12; 30:28; 31:26; 37:21; cf. Gen. 1:14-17). Job’s metaphoric picture says the skies are ‘hard as a mirror of cast bronze.’ Glass mirrors were not known until Roman times. In the day and age of Job, mirrors were cast from hardened bronze (copper hardened by the addition of tin). So, metaphorically, God’s skies are durable and strong. The problem with Dr. Haarsma’s statement is not limited to the idea that the ancient Hebrews believed in that solid sky dome, or in the flatness of the earth. 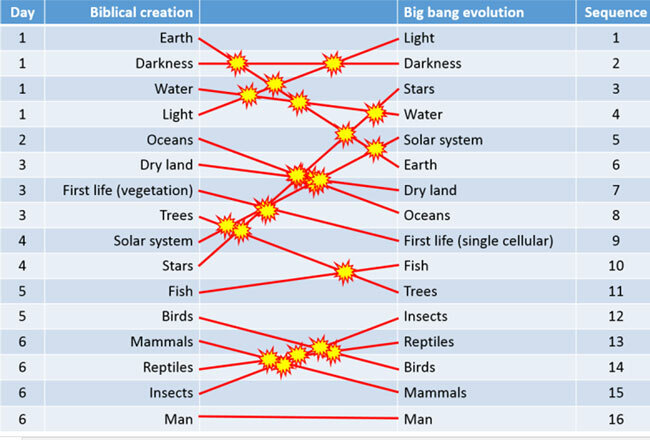 It goes deeper – to a fundamental misinterpretation of the Bible’s symbolic and conceptual descriptions of creation. All human beings and cultures have a conceptual or symbolic understanding of the world, and a way of describing the world that is based in that understanding. The conceptual and symbolic understanding of the “ancient Hebrews” was shaped by God’s Word. The Lord willing, I will follow up on this important point in a subsequent examination of Dr. Haarsma’s assumptions.